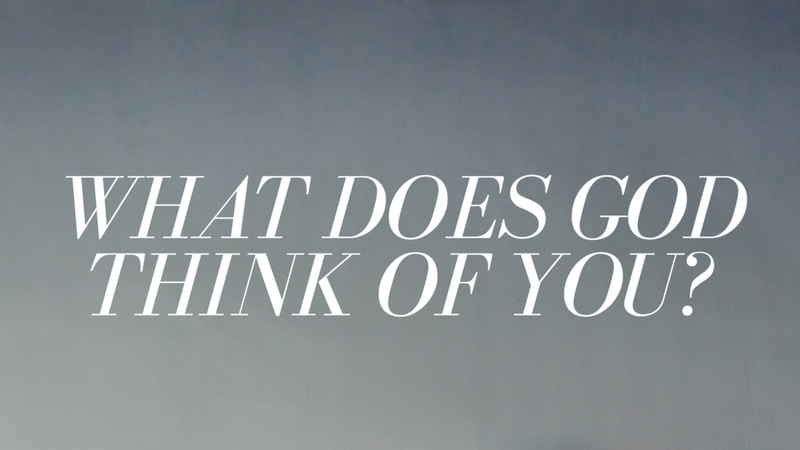 What does God think of you? Does He merely put up with you? Tolerate you? Does He hold His nose around you? Or does He delight in you? Does He cherish you? Our answer to this question impacts our response to nearly every situation in our lives. Suffering, success, sickness, sin…our lives are filled with beauty and pain, and God invites us, above all, to do one thing in response to everything that happens: commune with Him. BE with Him. Would a God who merely puts up with you extend this kind of invitation? Matt Chandler puts it like this: “It's a delight and a gift for the people of God to commune with their adopting, loving, merciful Father. We see here, "Are you suffering? Go to him. Are you cheerful? Sing praises about him. Are you sick? Gather with others, particularly the elders, and go to him. Regardless of what's going on, get in here." If we believe we need to earn God’s approval in some way – if we believe He just tolerates us – the last thing we want to do is run to Him. When our prayers become mechanical, when we struggle with habits and sins we desperately want to overcome, when we are at our lowest and our highest, God is not standing far off, stiff arming us until we get it together. If you hear nothing else today, hear this: when you are in Christ, God delights in you. He loves spending time with you. He cherishes you, even as He cherishes Jesus. Because of Jesus, we have the immense privilege of approaching the Almighty God of the universe as our Abba Father. We – because of grace beyond my understanding – have the gift of being adopted sons and daughters of the Most High, friends. And this makes the invitation offered by James a remarkably delightful one. When we understand how God esteems us, we are able to esteem others in the same way. When we understand the depth of Jesus’ words, “It is finished,” we are able to freely confess our sins, knowing and believing they’re forgiven. When we know God as Abba Father, we are able to pray to Him as loved children, not avoid Him as filthy, abandoned outcasts. And as we pray, we experience His love and grace more and more deeply. We are healed. Almighty God, Abba Father, Thank you for Jesus. Thank you for adopting us into your family. We pray that we would accept your invitation to be with You. That we would pray in our suffering. Please draw us to prayer, Father. Show us how to celebrate, how to sing. We pray for increased faith in your power to heal. And we pray that we would be secure enough in the finished work of Christ Jesus that we would confess our sins to one another. Give us Your love for our brothers and sisters, Father. We ask these things in the Name of Jesus, Amen.